DuPont Registry's tagline is a buyers gallery of fine automobiles. They run a magazine/wishlist of cars and an online sellers gallery. 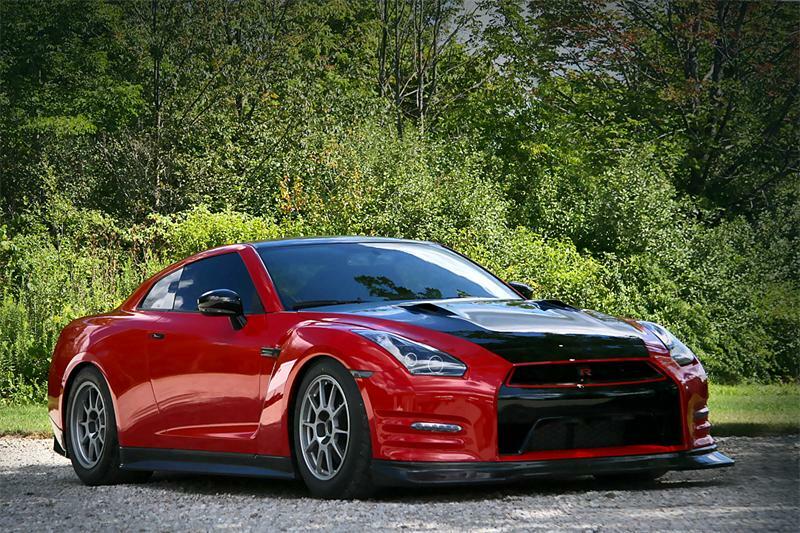 Our friends at Switzer Performance were included in one of DuPont's recent blog posts with the 1400 horsepower R1K-X "Red Katana" Nissan Skyline GT-R. Its an 8 second street car, that weighs several hundred more pounds than a stock car. When most people see a new, hot car in an article - they skip through the write-up and go straight for the performance specs. Is that you? If it is, this is what you want to know about Switzer's latest R35 GTR conversion, the R1K-X: it makes over 1400 horsepower, and you can drive it to a dragstrip, crack off back-to-back-to-back 1/4 miles in the 8.8-9.0 second range at 163-165 mph, then it drive home with the A/C on. There's more to Switzer's pavement-shredding R1K-X GTRs than specs, however. Take, for example, included in the pictures. Its owner calls it "Red Katana". It's one of the first production Switzer R1K-X GTR Nissans, and almost every inch of the car, under and over the skin, has been "touched", making it truly unique. Head over for the full article.